If I ever find a genie in a bottle, the first thing I'll ask for is an edgy wit like Dorothy Parker. 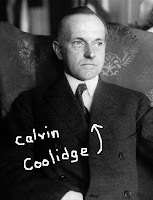 Parker, whose laser response to the news that President Calvin Coolidge (a quiet, stoic New Englander) had died was, "How do they know?" Had I a clever mind like hers, I would have known what to say when my friend, a non-woodworker who was visiting my shop, inferred that I was wasting my woodworking skills. He asked if I make things to sell at craft shows. No, I said. Oh, so you make gifts for friends and family then? Well, no, not really. You don't want to help build a playground or anything for the town? No. That's not really my thing. So you have this talent, but you're not going to share it with anyone! Well, um, I do have a woodworking blog where I share stuff with others. I hadn't convinced him that my hobby was worthwhile. He would only see value in it if I built projects for others instead of just doing things that make me happy. Things like handplaning a board for hours. Where's Dorothy when I need her? After he left, I thought that I might have compared my hobby to that of someone who loves to read. His belief that I should only make things for others' benefit would be like never being able to choose your own books—letting others decide what you should be reading. One of the best parts about woodworking as a hobby is you get to build what excites you. The project that makes you lie awake at night trying to figure out the best type of joinery, the order in which it should be built, the design. It's wonderful to make things for friends and family and your community, but where's the joy if you don't also get to build something from your bucket list? Maybe I should take up reading as a hobby. And put The Portable Dorothy Parker as my first "must-read."